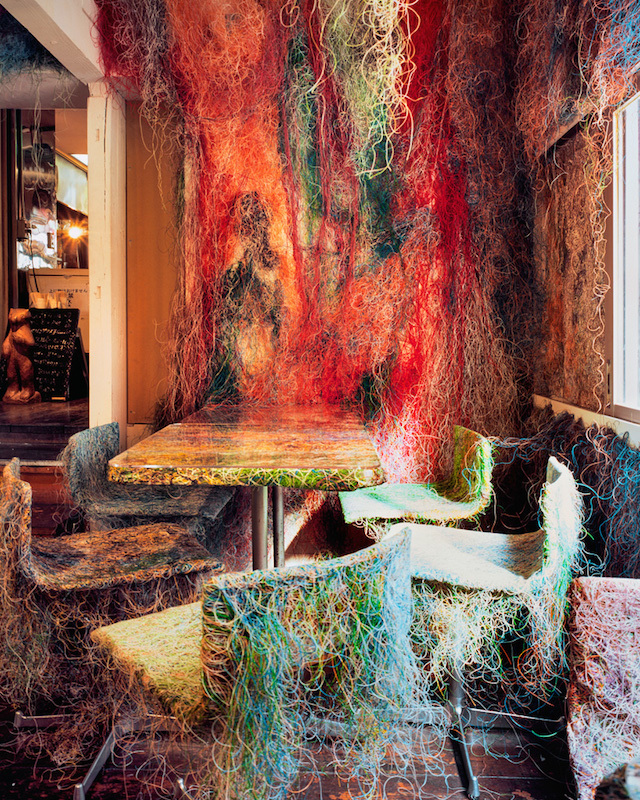 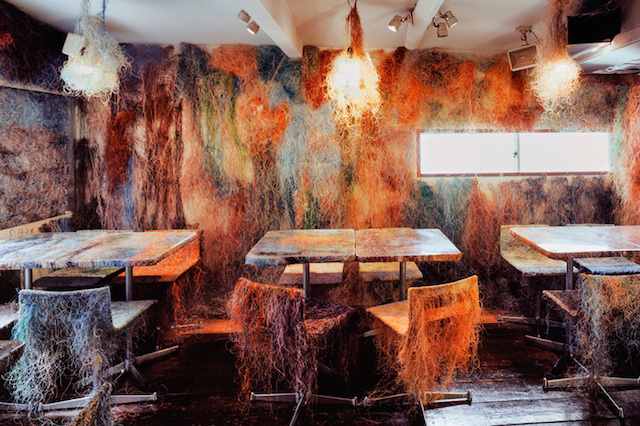 Located in Kichijoji, near Tokyo, Japan, artist Kengo Kuma and associates adorned the surface of this bar-restaurant with a assortment of colored recycled cables. 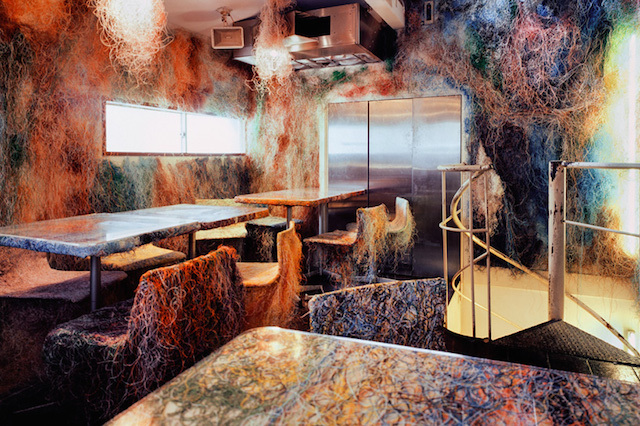 This amazing type of decoration gives to this place a wild and warm atmosphere. 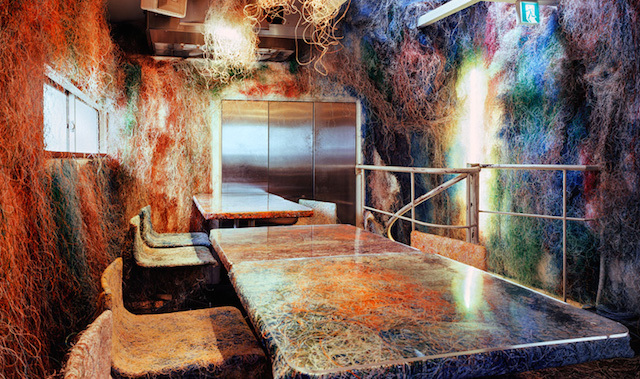 To discover through Erieta Attali’s photographs.